The Science Says- Butterfly migration is mind boggling! Rebecca Nesbit (Butterfly Becky): Conservation and the environment have been my passion from when I was far too young to know what it all meant. So I studied biology at University of Durham and in 2010 I was awarded an ecology PhD. I did my research at Rothamsted Research in Hertfordshire and spent my time chasing migrant butterflies. I now work as a PR consultant, and represent small companies with bright ideas in science and technology. A few weeks ago my friend was surprised to find a small green caterpillar in her peas from Mozambique. Curious to see what species had made it all the way from Africa we kept it in a pot and were delighted when it turned into a pupa. Sure enough, two weeks later it emerged as a beautiful moth, which turned out to be the scarce bordered straw, Helicoverpa armigera, a species that arrives in small numbers in the UK as a migrant. Our pet moth had come to the UK the easy way, thanks to people. But its wild counterparts can get here without us, and it’s not alone. Many insects travel thousands of kilometres and move between continents without the help of humans. Take the silver Y moth, which is very common in the UK. It never spends the winter here, but uses wind currents hundreds of metres above our heads to reach the UK from Africa. 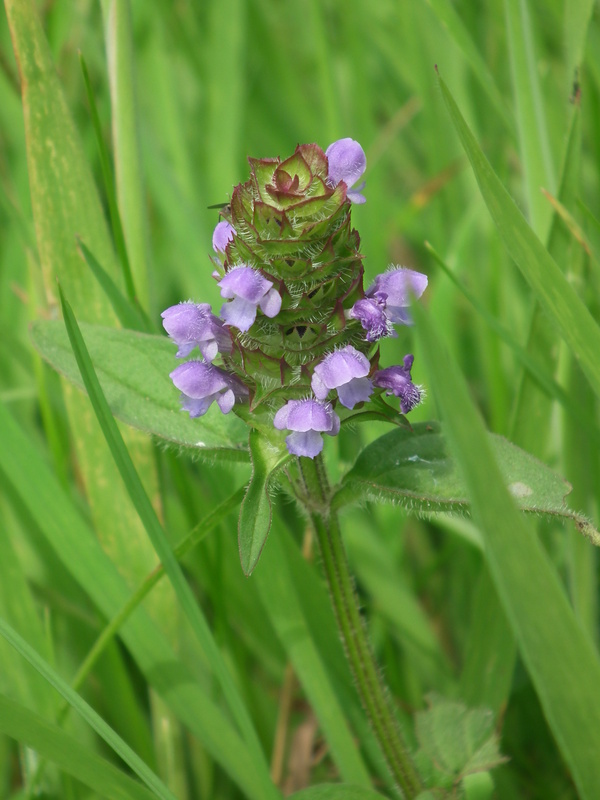 Don’t be fooled by its tiny size though – it is by no means at the mercy of the wind, as this research shows. You may also have spotted the painted lady, a beautiful butterfly with winter breeding grounds in north Africa. When weather conditions get too dry in Africa butterflies make the journey north, and lay their eggs in Europe where the weather is better for the caterpillars’ food plants. In the autumn they fly south to escape the cold. If you see any, Butterfly Conservation would love your records. Insect migration can be very different to bird migration. Many birds migrate each year between summer breeding grounds and winter feeding grounds. But lots of insects don’t show this distinct pattern and are simply moving to a new area so they lay their eggs somewhere with a plentiful supply of food. Also, most insects don’t live that long. In many insect species, such as the painted lady or silver Y, no individual makes a northwards and southwards migration – instead it is the next generation which completes the round trip. That makes it even more mind boggling to think about how they find their way without anyone to follow or any prior knowledge of the route. You can read about my research into how butterflies know which way to fly The more I learn about the world of insects the more amazing their world seems! With many thanks to Dr Rebecca Nesbit ( rebeccanesbit@societyofbiology.org ) for her great contribution! 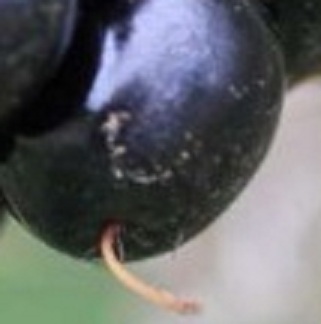 Now earlier on today, we posted a close up photograph of either a Plant or a Pollinator. Your challenge was to find out what species it was. Did you guess? Are you dying to know what it is??? Today’s ‘Guess the Species Challenge’ was…………………. A BLACKBERRY! So it was a plant which we definately wouldn’t have if it wasn’t for those clever pollinators! Let us know how you did and look out tomorrow for your next Guess the Species Challenge. 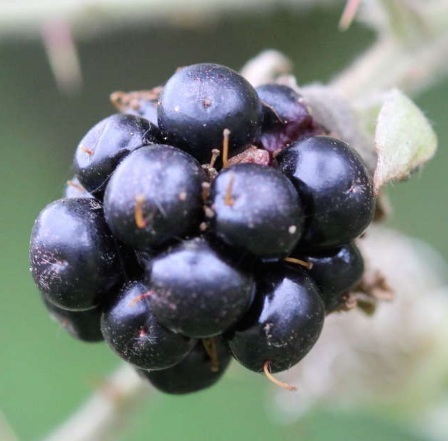 Blackberries are the fruit of the Bramble – Rubus fruticosa – a common prickly shrub. They make awesome pies and food for insects , birds and small mammals. Elder berries are small, globe shaped and a deep purplish-black in colour, and have been harvested for centuries for a huge range of purposes, and the flowers being used for Elderflower wine and cordials. Elder is the focus of a rich wealth of folk lore, and has many magical associations. The name ‘elder’ derives from the Anglo-Saxon word aeld, meaning fire. This may have arisen from the practice of using the hollow stems of the elder as bellows to encourage fires. It was, however, extremely bad luck to burn elder wood; if this happened the Devil was said to appear, explaining another local name ‘Devil’s wood’. Conversely it was said to keep the Devil away if planted close to a house. Some of these old superstitions linger today; many modern hedge-cutters refuse to attack an elder for fear of bad luck.The cross used to crucify Jesus is said to have been made of elder wood, and the elder was the tree on which Judas hanged himself. We have just 99 plants left on our list! Here are the plants we haven’t been able to find on our travels yet. Please help us complete our mission by sending your photos in to iSpot to record your sightings! 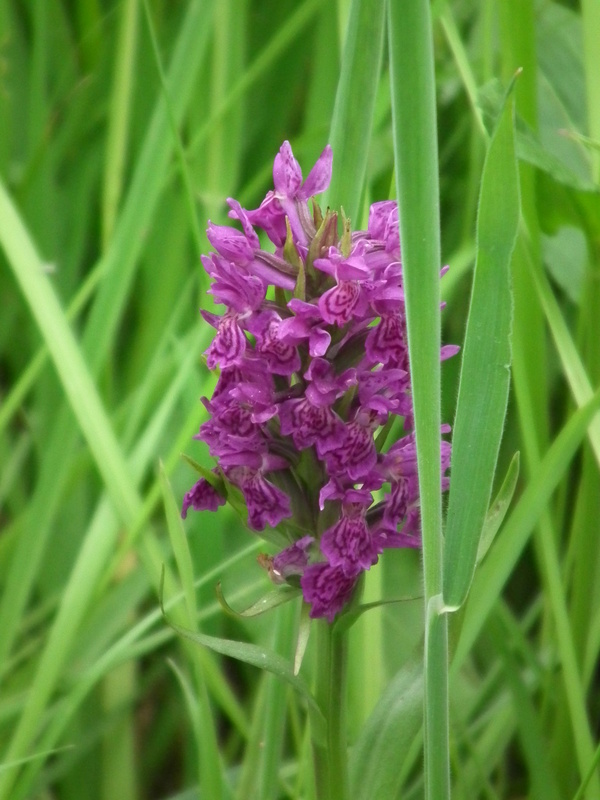 So here’s the first one, and don’t forget can only be a PLANT OR POLLINATOR…. What species is this Plant or Pollinator? 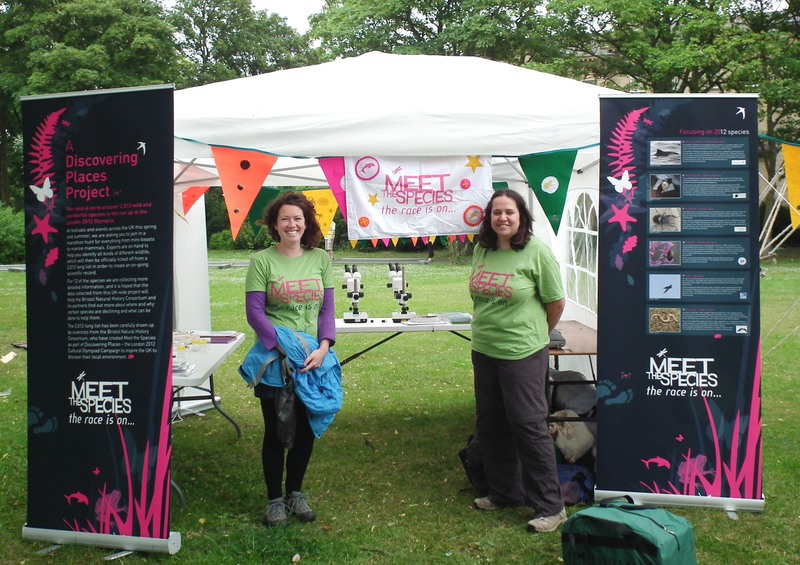 The first stop on the Meet the Species hunt was Newcastle Green Festival. As you can see from the photo below the gazebo was out in full force for it’s maiden festval, and what a festival it was. To say that the people of Newcastle were enthusiastic is an understatement, we had a constant flow of people visiting basecamp to look at specimens in the microscope, learn more about the 12 target species, and join us for our species hunts; we even pulled in a large crowd for our Biodiversity Jenga competition. 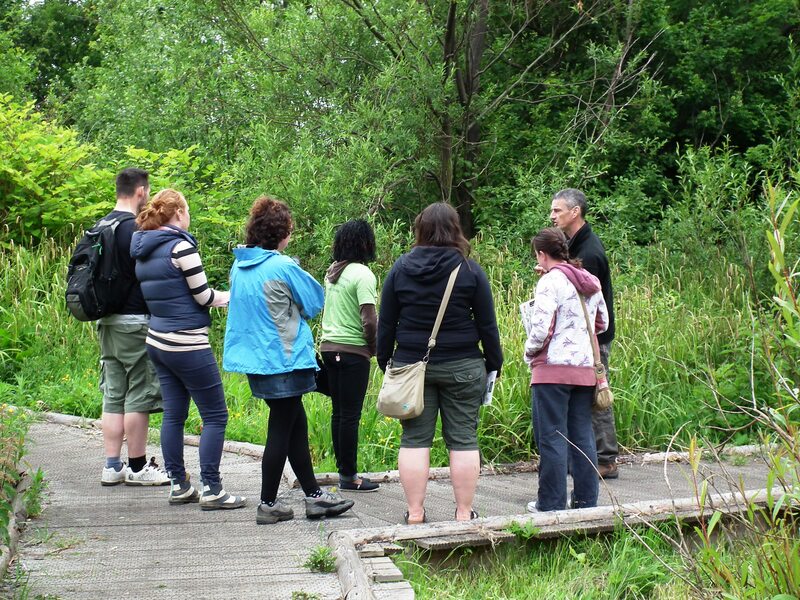 We were joined by three amazing experts from the local area who came to lead a whole variety of walks from Wonderful Water Birds to The Great Tree Hunt; a massive thank you goes out to Dereck, Adam, and Keith for their expertise.